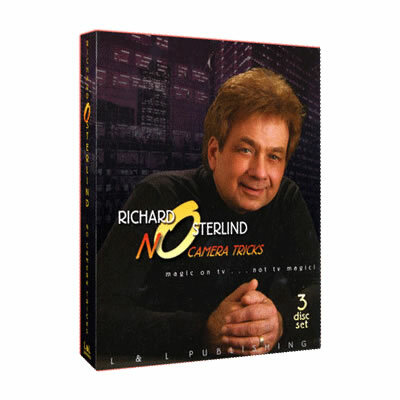 This incredible video series features Richard Osterlind performing three television shows using absolutely no camera tricks, stooges or pre-show work. 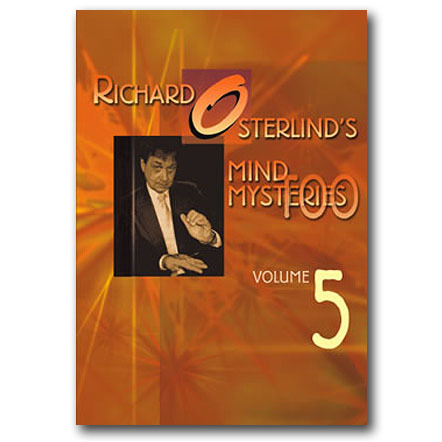 Watch Richard dazzle the audience with real-time, mind-boggling mysteries! The material, which is of television broadcasting quality, can also be used on stage and for close-up performances. 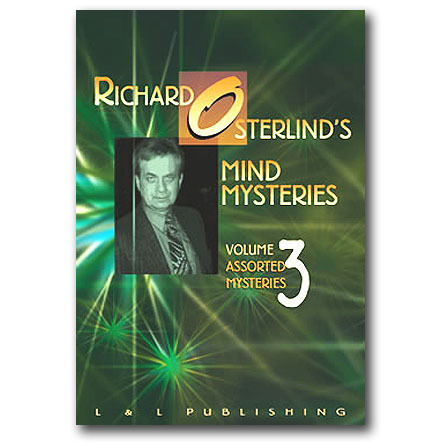 Here are secrets of the highest quality consisting of the latest innovative ideas from the fertile mind of Richard Osterlind to some of the most cherished hidden mysteries from other masters. Not only will you receive a wealth of astonishing and usable material, but it is presented in one of the most entertaining formats ever created! This is Richard at his highest performing level! In addition, you will see the commercial “fillers” with Richard performing live in a restaurant and other public places. This is real time performing under real world conditions. See why Richard always shines in these numerous other “bonuses” on each video! Zodiac Revolution – Bob Farmer’s classic zodiac sign revelation done in a new way that will startle you in its directness. Richard guesses the zodiac signs of 6 audience members using nothing but a pad and pencil! Swami Birthday and Steno ESP – Richard continues with guessing a person’s exact birthday followed by predicting the random thoughts of 3 audience members. In the latter part, absolutely no forcing is involved and all 3 choices are totally free! Liquid Metal – Richard continues his metal bending legacy with 5, yes 5!, more demonstrations of spoon bending that will astound you! In one, a spoon actually visibly bends in the spectator’s hand! Digital Feedback Extraordinaire – A digital calculator effect that duplicates the gimmicked versions using a legitimate calculator right out of the package in a drug store! You can throw away your forcing calculators as this does the same thing! Pegasus Page – Richard considers this as one of the greatest effects in magic! With total permission of Art Emerson, the original Pegasus Page is presented to a stunned group of spectators. A selected page vanishes from a book being held by one person and reappears between 2 pieces of cardboard held by another spectator! This secret is worth the price of the series! 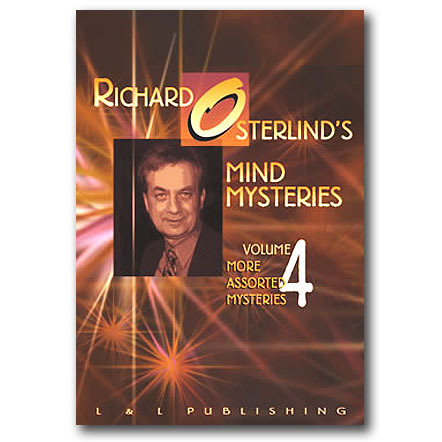 RichardWave – The Brainwave effect has always been considered one of magic’s best illusions. Here is Richard’s version where any card named in the only red backed card in a blue deck. To top it off, there a “kicker” that adds another 100% to the effect along with the fact that the deck is given away at the end! It is totally ordinary! Rubik’s Cube – You won’t believe watching Richard solve a legitimate Rubik’s Cube while totally blindfolded! Clearly Mind Reading – Another one of Richard’s fabulous ideas for doing a complete thought reading act! This is a “new” idea that Richard published over 20 years ago and is basically unknown. It is fabulous! The Poker Deal – Watch Richard use his Breakthrough Card System to recreate a Poker Demonstration reminiscent of the movie, “The Sting”! Seafire Sequence – For the first time Richard presents his famous Seafire Sequence booktest on video. Now you can see this classic effect performed with all the little nuances! There are over 6 separate climaxes! Dracula/Errata Booktest – The Dracula Booktest by Alexander Black is fully explained and combined with Richard’s now famous Errata ending. Now you can see how incredible this combination of effects is! 20 Card Test – This long-forgotten effect from the Jinx made Al Koran famous. 20 people select cards and a blindfolded Richard finds them all! Watch Richard perform this anytime, any deck miracle to an enthusiastic crowd! The Original TCB Routine – Richard performs a classic piece of mentalism that brings down the house! 7 people select objects from a transparent bag and everything is predicted! You will understand why Richard loves the classics! VooDoo – This eerie and forgotten piece of magic is incredible! Richard performs the whole routine at midnight on the back deck of the L&L studios in a chilling demonstration different than anything you have seen before! The Acid Test – Not for the weak of heart! Richard performs his classic acid test where, while totally blindfolded, he drinks the one glass of milk from among 4 others filled with Liquid Drano! See how Richard builds the suspense and shows how this type of “death defying” mystery should look! 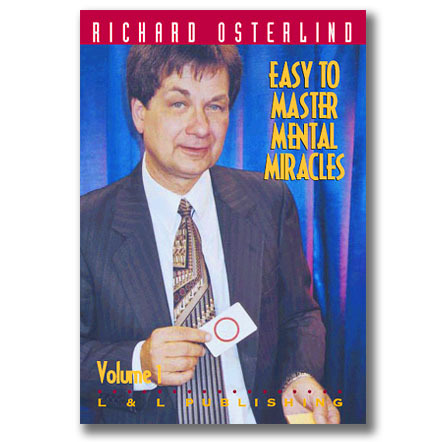 Richard performs a complete Hypnosis show right in the L&L studios! 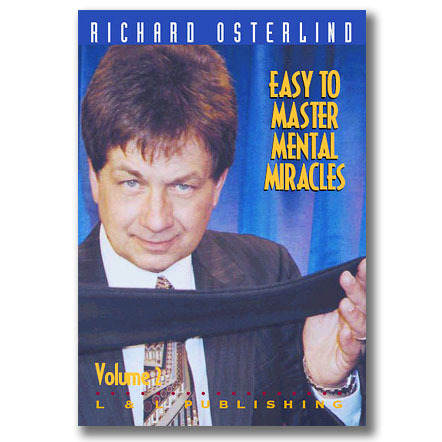 You will roll with laughter as Richard shows how a classic hypnotism show should look. Although no explanation section is given, serious students will learn from watching a lifetime of experience at work. You will see all the little nuances starting with the warm-up, to the induction process and then into some great routines right out of the works of Ormond McGill. All along, you will see how Richard is his totally tasteful self and the consummate performer! This is the way a hypnotism show should look like and one of the funniest videos you will ever see! Double Down - With his permission, Bryn Reynolds’s Double Down is presented to a group in an informal gathering at the dining room table. 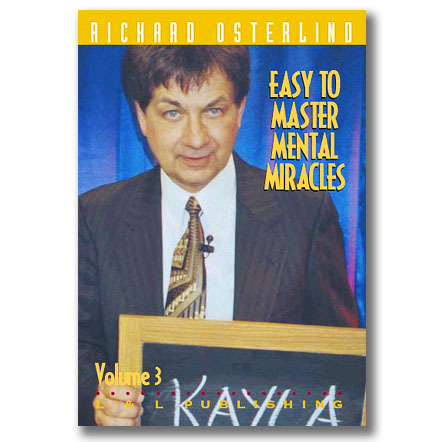 See how direct and entertaining this new miracle of mentalism is! Flashy Read – A new update on Richard’s classic Bic Lighter Switch is fully performed. You will see the incredible reaction the routine gets and learn the exact handling of the perfect switch! Quadruplitear – Here is an idea from the files of Al Mann updated into a complete routine. Richard discussed this variation with Al many years ago and now shows just how it is a complete routine. In addition, you will see the Dunninger Pad in action! This alone is a complete course in mentalism. Incredible Mind Reading – If you thought you knew all the billet reading methods, think again! Here Richard performs a forgotten idea that was never really explored. You will see him create an effect that transcends many of the incredibly high-priced billet moves now available, with an idea that works under even tighter conditions! You will be amazed!